Searching for a trustworthy Lynden plumber? Get in touch with the certified professionals at Eagle Plumbing & Heating. Call us today at (360) 318-9999. Click here to save on many of our valued services. Everyone deserves to have prompt, friendly, and affordable service from professionals who know the business. The knowledgeable professionals at Eagle Plumbing & Heating offer a number of specialized plumbing services to the residents of Lynden and the surrounding areas, ensuring that every customer receives the care and quality workmanship that they rightfully deserve. If a plumbing system in your home has been damaged or is no longer working efficiently, you don’t have to worry, our expert staff can tackle even the toughest issues and provide safe and effective solutions. Whether you are in need of water leak detection services, a professional drain cleaning, gas line repairs, general maintenance, or a new installation, Eagle Plumbing & Heating is waiting for your call. 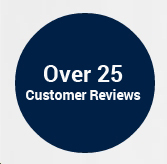 To read reviews and testimonials from other customers in your area on our quality services, click here. Why do you need water leak detection services? Increased water bills: If not caught early on even a minor leak can result in hundreds of gallons of wasted water, significantly increasing your monthly bills. Standing water: Pooling water from an untreated leak can create the perfect environment for mold and bacteria, which increases a family’s chance of developing medical issues. Standing water will also attract pests and rodents. Flood damage: If not attended to in a timely fashion, small leaks can become more severe, causing extensive floodwater damage in your home. Professional water leak detection services from the certified professionals at Eagle Plumbing & Heating will ensure that any problems are attended to quickly in order to avoid potentially hazardous situations. When do you need professional drain cleaning services? Even modern plumbing systems undergo a tremendous amount of wear and tear, which can eventually lead to severe clogs within the drains of your home. Over-the-counter chemical drain cleaners are unlikely to solve the problem, and in some cases may cause additional damage. Slow drainage: Showers, sinks, and other fixtures that take a long time to clear out may indicate that professional services are needed. Frequent clogs: Repeated clogging in a specific drain is another problem that warrants a professional cleaning. Multiple clogs: If several drains are clogged in your residence at one time, this could mean that there is a serious obstruction located deep within your system and the main sewage line may need to be cleaned. If you are experiencing this problem, contact the specialists at Eagle Plumbing & Heating right away. Unpleasant odors: Finally, residents should be wary of any rotten smells emanating from a drain; this could also be a sign that there is a clog in your sewage line. What are common signs that it is time to repair or replace your water heater? Water heaters are typically used every day in most households, whether for showering, washing dishes, or doing laundry. That is why it is extremely important to make sure that your water heater receives proper care and regular maintenance in order to circumvent problems that could have otherwise been avoided. Water heaters should be serviced at least once a year to ensure maximum efficiency. However, even in following all the necessary requirements to keep your system in optimum working condition, issues can still arise. The most obvious sign of a problem is the reduction or complete absence of heated water in your home. While this issue may be as simple as a pilot light that has gone out, there could be more serious causes, such as damaged gas or electric lines, a malfunctioning thermostat, or a buildup of sediment inside your unit. Owners should also keep a close eye on their energy and water bills, if you notice a sudden increase this could be as a result of a faulty water heater. Additionally, if you have an older water heater that begins to require more frequent repairs, it is likely in your best interest to have it replaced with a newer and more efficient model. For specialized water heater services in Lynden and the surrounding areas, contact the trusted professionals at Eagle Plumbing & Heating. Call us today at (360) 318-9999.